BAGI or Builders Association of Greater Indianapolis is the professional association that unites people from the residential construction industry and related businesses to conduct their business efficiently and ethically to provide the community with reliable, safe, affordable residential construction accomplished by competent professionals in the industry. It has always been a high priority for BAGI to promote, educate and network with their members, along with providing advocacy, education and meaningful services to benefit its members and the new-home building industry in the most efficient way. BAGI was looking for a solution to replace their existing mobile app with a newer and more user-friendly platform that would make interaction and communication within the community become faster, more productive and convenient. After researching for options, BAGI chose 14 Oranges based on their deep experience in the mobile application development industry while understanding the association’s needs. 14 Oranges were able to provide them with a mobile-first approach to enhance the engagement with BAGI’s members. One of the vital issues in the project was the transfer of the association’s existing app content into the new platform which 14 Oranges was able to do with ease. 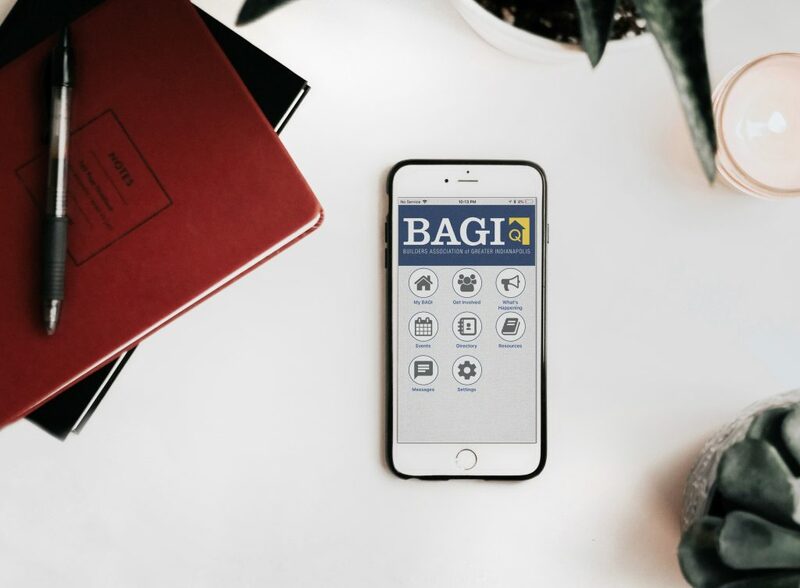 Thus, in April 2019 the brand new mobile application for BAGI was launched and now is available on the Apple App Store and Google Play. 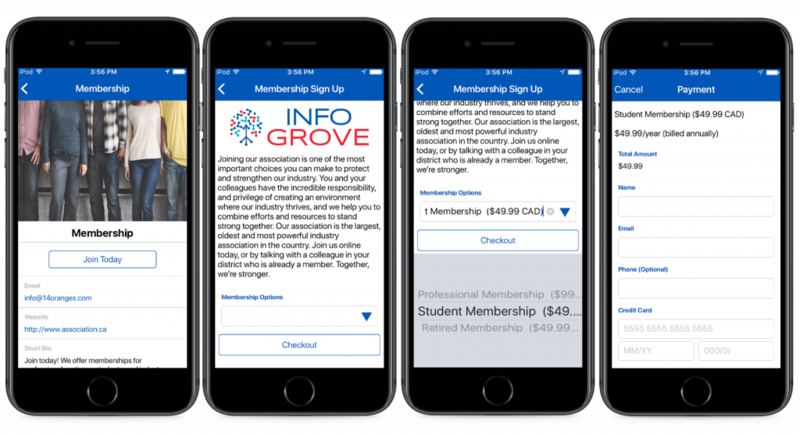 The BAGI mobile app is a very simple and convenient engagement tool that creates a place for members to go for internal communications. 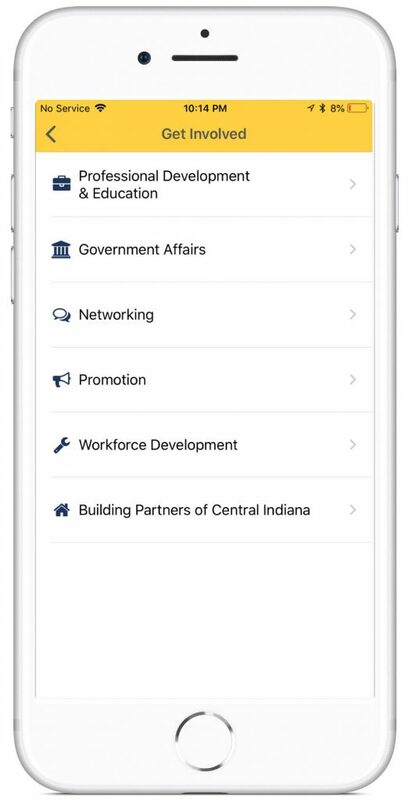 Builders Association of Greater Indianapolis members can use this app to stay in the loop of Association events and activities. 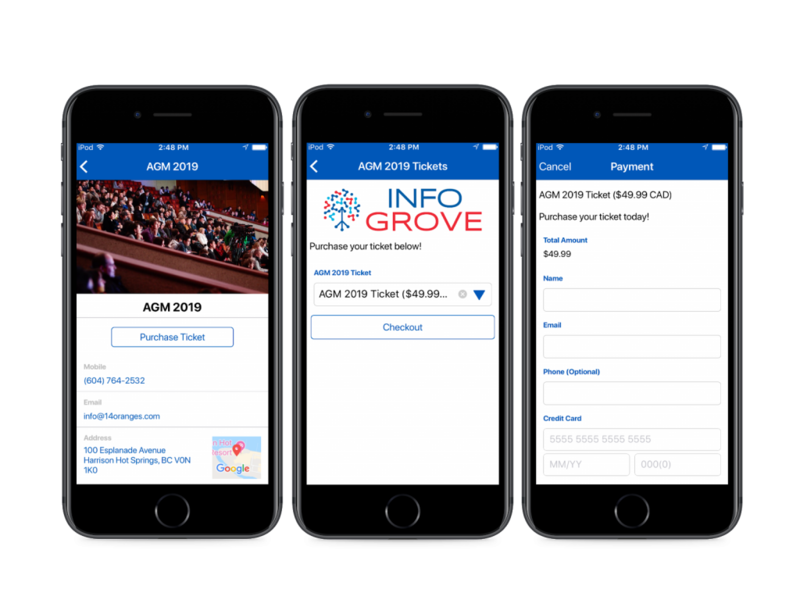 Furthermore, the mobile app can easily provide members with access to Policies and Procedures, internal messaging, schedules of the upcoming events, industry news like government affairs, networking and others. It is also possible to collect feedback from the members to improve association services. The application has a simple but modern interface as well as the easily-managed CMS platform Info Grove, allowing to create and manage the content, add or remove modules quickly and conveniently. “14 Oranges successfully replicated all desired functionality from the previous app while developing other improvements. Positive internal feedback has focused on the accessibility of the backend. Expect 14 Oranges Software to follow a straightforward and accountable process and meet their commitments”, Director of Communication and Special Events, Builders Association of Greater Indianapolis, Kristen Krempp. You can order a free demo of your mobile application HERE. Small fish in a big tech ocean or how a small software company achieves success. Family status: Married, has 3 daughters. 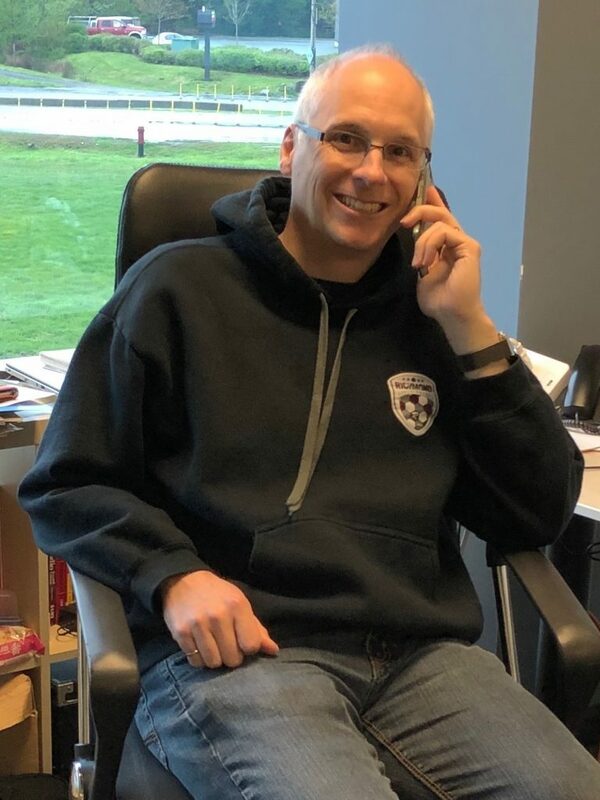 Prior to 14 Oranges: Vice President in CounterPath Corporation managing the application development and support. 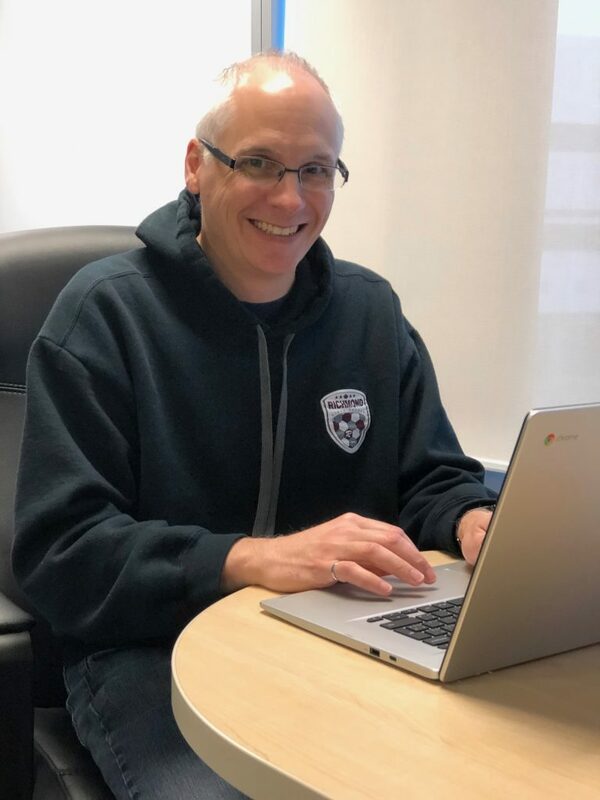 Overall Sylvain has over 20 years of software development and engineering experience. Favorite place to travel: Italy, Spain, California. Hobby: soccer, ice hockey, and skiing. Sylvain, your company has been operating for 10 years already and you have reached impressive result but before 14 Oranges, it seems like you were pretty successful in your previous companies. Why did you decide to change your professional life? Well, we need to take a few steps back even before I started my first job. When I graduated from university, I had the desire to start my own company but felt I was too “green” for it so I decided it would be best to gain some experience first. I worked for a few “startup” companies and participated in interesting projects that gave me the necessary experience I required to start a business. But yes, at some point when you have reached a top-level position it is much harder to quit and start from scratch. But anyway, the decision of having my own business was made a long time before it was just postponed. So yes it took a while but one day on my drive to work, I knew it was the right time and started it that day. As you might have guessed, we get that question a lot. Come with me and I will give you the story. Don’t worry, it is nothing too crazy. 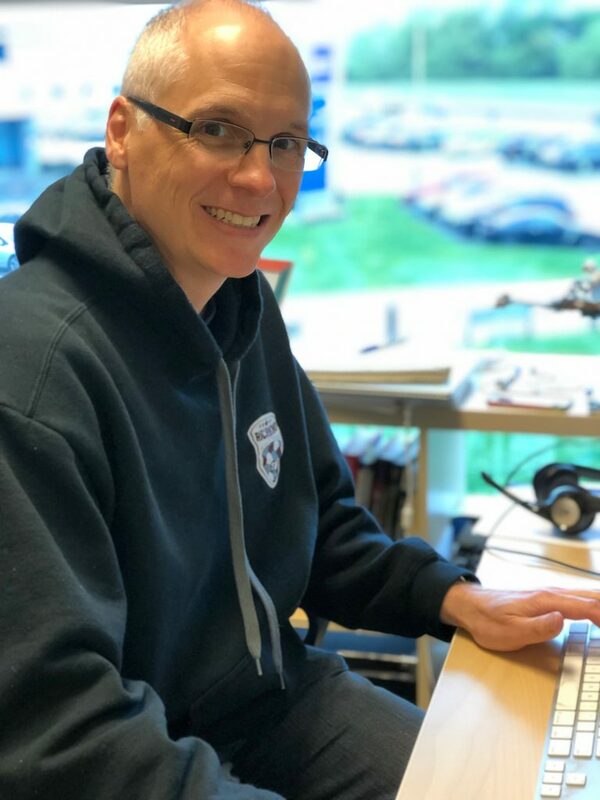 The world is experiencing a digital boost so it is obvious that the software industry is growing in general but why did you choose your current focus – mobile apps development? Firstly, as I mentioned I have education and experience in this area that ensured the company could achieve success. Secondly, the mobile industry has been exploding since 2008 and that are no signs of it slowing down, so it means that the demand for mobile applications is still strong. We expect to have ubiquitous access to 5G in Canada in a couple of years which only strengthen that trend further. For example, at the moment, most people spend about 5-7 hours daily on smartphones and with 5G, that number can only go up. Additionally, we help organizations like associations, unions, cities and governments, and other public institutions to increase their presence in this digital world because in the future – mobile applications could remain the one and only source of engagement between organizations and people. So it seems you are in a trending industry and you have the growing market? Yes, but with a growing market, the competition is growing as well. That’s the challenge that we need to deal with. How do you plan to compete then? It is simple. You need to provide value to your customers and listen to their needs and make sure your services and solutions cater to their needs. Does this approach explains the company success? You have received a number of awards and this year 14 Oranges has been ranked once again as one of the Top App Development Companies* in Canada. Success is always a combination of different factors. I would say, that for us the fundamental factor making sure our solutions can help them solve their business problems. We are not a supermarket of mobile apps. We focus on the organization or business pains and challenges and try to understand them as best we can to ensure our solutions deliver as expected. So that’s why, for example, we offer a free demo of the mobile app to our potential customers. So the company can test it with their own customized options, modules, branded icons, and styles. And during this demo customer can test the benefits of its own mobile app even before signing a contract. We start with a simple phone call where we evaluate your needs and make sure we are a good fit. We have actually turned down business on many occasions as we felt our services were not a good fit and would result in our customers to not be fully happy. If we see a fit, we usually proceed to further discovery to make sure we fully understand their needs and also to make sure they fully understand what we can and cannot offer. In many cases, with our Info Grove solution, we can meet their needs right away and can offer a free demo which would closely resemble the app that they would get in the end. Does this mean that a customer gets a free demo version of its own mobile app? Yes, exactly. And this is one of our advantages. But this is time-consuming, isn’t it? Is it effective from the business point? In this case yes, because we have our own solution – Info Grove. It is a software platform for mobile application development and content management. It is a friendly CMS designed for non-tech savvy people such as communication managers allowing them to create a full-featured mobile app quickly and easily. How did you come up with the idea to develop your own platform? 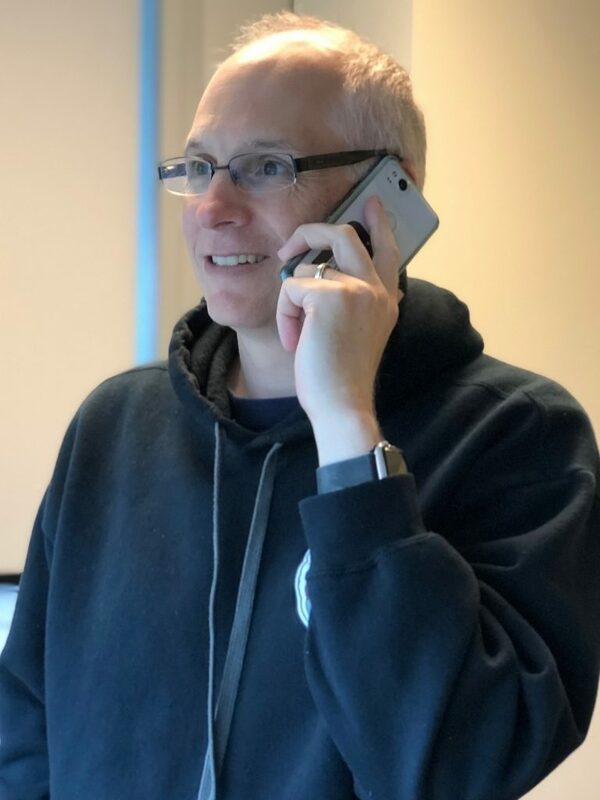 Remember, I was talking about listening to the needs of our customers? One thing we heard time and time again was that full custom applications were too expensive and took too long to get to market. They just want something to solve their needs without having to break the bank and without any hassles on managing the system because usually, the people who deal with the app day-to-day are not IT people. That’s one reason. The other is simple: any system should work for people to simplify their life, not vice versa. So, that’s why we created our own CMS for mobile applications. It doesn’t mean that we are focused only on the Info Grove. We can develop any customized mobile app as long as it better solves their needs but in many cases, Info Grove is the right solution to solve the needs of our customers. According to your website profile, you can develop websites as well? Yes, absolutely. We acquired a web development company in 2014 and have all the expertise and proven experience to deal with any complexity of websites. We have an internal team of web developers so we can manage and control the entire process. We do not outsource any of our work even though we get countless emails and phone calls from companies in India offering their outsourcing services. 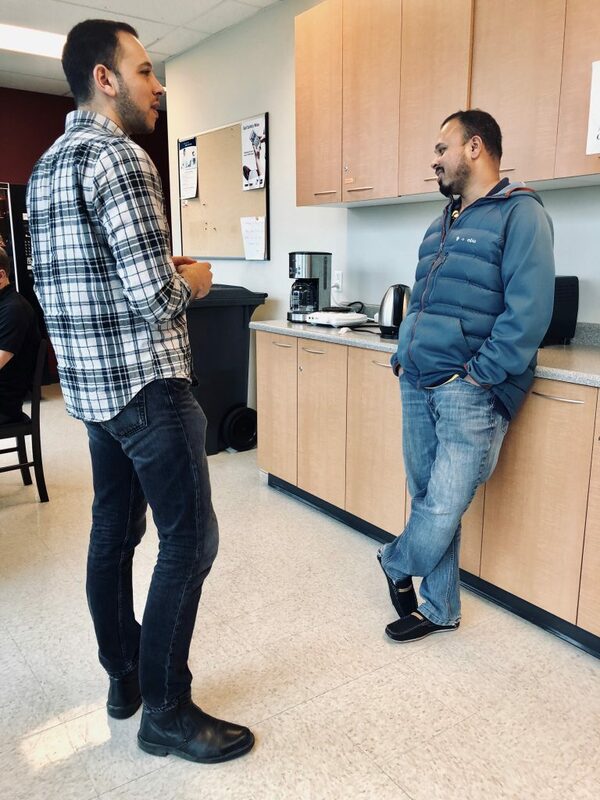 We value face to face meetings to again ensure our customers are served in the best possible way. Talking about your internal team, and employees, what are the principles for you of hiring people? We have a small team and every person is valuable. So I put personal attention when hiring people. I consider education and professional background, probably as would any other company, but most of all I pay attention to personal potential, the ability to make a valuable contribution to the company, and at the same time their ability and desire to learn, develop themselves because by neglecting your personal development, you cannot be flexible and adapt to the ever-changing environment. How do you stimulate the development of your employees? First of all, I give a “room” for this. And it’s not because they are allowed to work from home (laughing). Because I give them an opportunity to come up with their own solutions, ideas, and if it is something reasonable I usually support it. Having an idea it is only a small part, but when you implement it, you consequently develop yourself and as a result of, the company as well. My inspiration is my family. I spend a lot of time with my daughters and though they are grown up enough but still require a lot of attention. And in return, I get a lot of energy from them. * according to Clutch Leaders Matrix. Starting from the title you may have the impression that we put the wrong word “work” instead of “home”, but it’s not a mistake. Once per month all employees at 14 Oranges come to the office to spend a working day in the office. Everyone knows that it is a general practice for the IT industry that software companies usually have a friendly or flexible schedule for the employees and allow different options to manage their own schedule like flexible working hours. 14 Oranges goes further and turns this upside down. So, according to company rules employees usually work from home and once per month visit the office. So that’s why we call it “working from work” day. 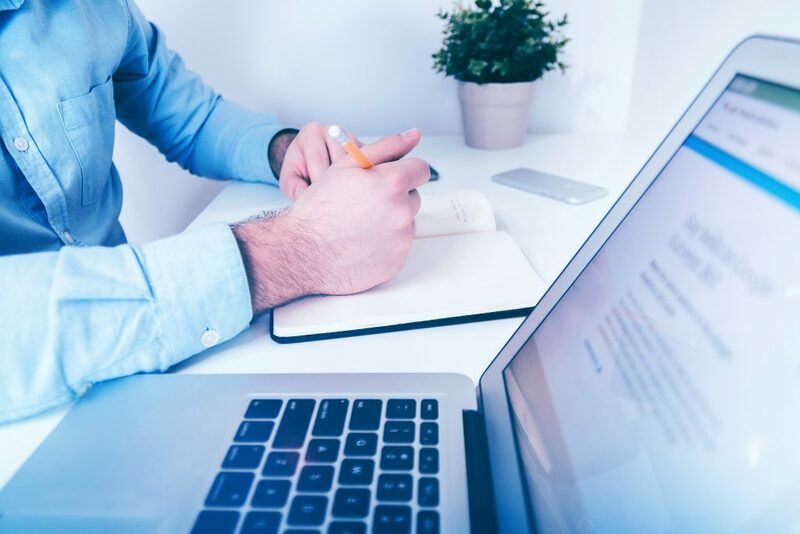 Company management approach, software development specifics, as well as unified communication capabilities allow us to have this tactic and operate the company without impacting the quality and the efficiency of the team. On the contrary, people are more productive, engage more, and assume more responsibility for their tasks and the company success in general. As expected, employees are always welcome to work from the office any time they want so naturally if someone requires the office space for a meeting or other work-related scenarios, he or she can come by at their own schedule. 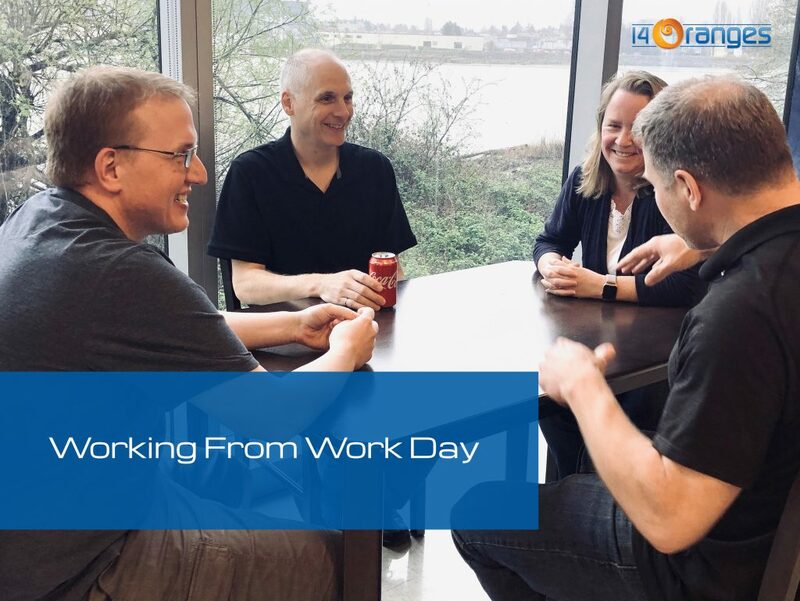 “Working from work” day is usually full of meetings, discussions, sharing experiences and news. 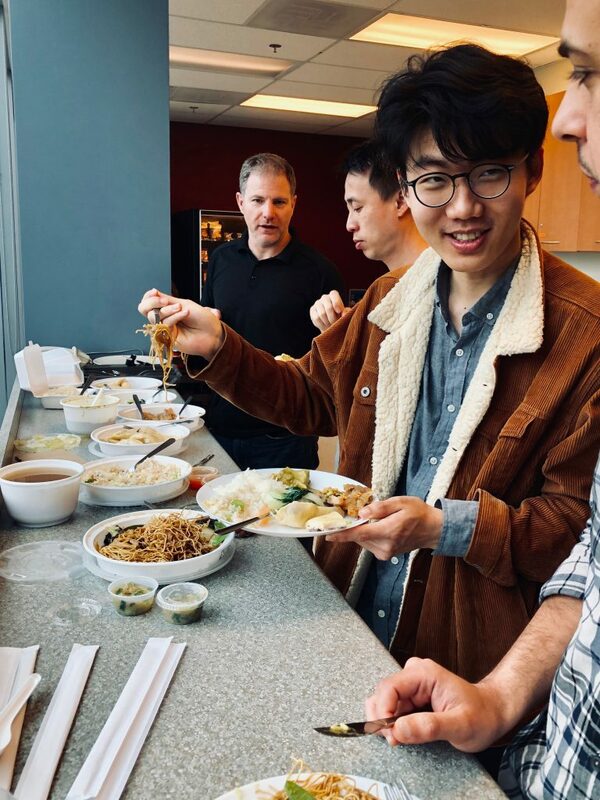 Moreover, we are all welcomed to share lunch and spend some time informally. It is also a good opportunity for a few photos of our team. It has been almost two decades since the first smartphone came into the market (remember those Palm Treo?). 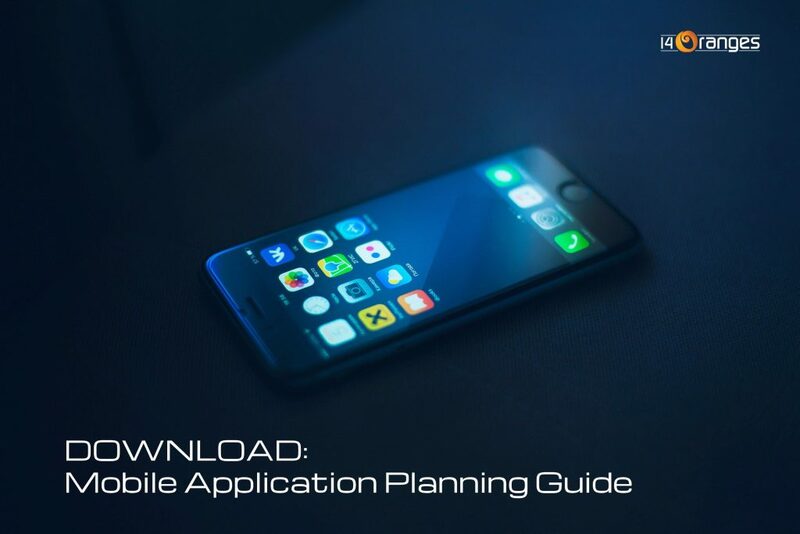 Since that time, the technology landscape has seen tremendous improvements such as the ability to receive emails or full internet browsing and of course mobile apps. Those improvements have boosted the development of supplementary industries such as mobile phones production and software development. Since the first apps were developed back in 2008, our smartphones have become an essential part of our life – it influences our behaviors especially in the way we consume information, consider it, and take action. No wonder that on average we spend 8.8 hours per day engaging with digital content on our smart devices (According to Adobe Consumer Content Survey). With that in mind, it is important to consider that drastic behavior change in how you communicate with your audience. No longer is it sufficient to just send emails and expect 100% engagement from your audience or simply have a website, smartphones and mobile apps must be considered or you risk the chance to lose your customers or members. How can your association or organization benefit from a mobile application? Before answering, let’s analyze human behavior. We want to get the information in the most efficient way which means fast, relevant, convenient, and interactive, and also we want our voice to be heard. So, we tend to engage with the content that can constantly satisfy our expectations. In return, organizations are looking for options on how to satisfy our needs. In professional marketing terminology, this process is called customer experience. Let’s consider how a mobile application can improve your member’s customer experience. 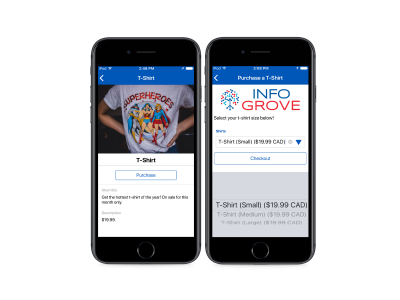 With a mobile app, your customers or members will receive the updated or most relevant information right in the app or with special app notifications or pop-up messages. There is no need to wait for a web page download or even remember a specific URL to find out the information. With everything in the app, you can be sure your customers or members receive all updates on time. First, you have a mobile tool to create different interactions with your members or customers to hear their voice and analyze their opinion to improve your services. 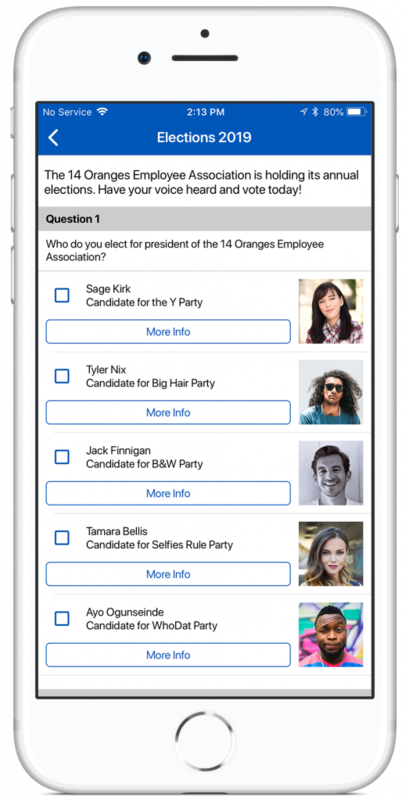 Voting, surveys, collecting feedback on a specific topic or the event – all of this can be implemented directly in the mobile app. Second, the customer can use smartphone tools to engage with the app: make screenshots/photos and attach them in the app, scan barcodes, screen fingerprints to identify themselves for voting or surveys for example. Direct messages in the app reduce costs compared to other traditional messaging options. Moreover, the messages are secured and its delivery is guaranteed because you as an organization control this process. It reduces the costs for the operational support of your community members or customers because you do not have to manage the traditional paperwork, for example organizing the elections or surveys. 4. Improve your brand awareness. The branded mobile app icon is always noticeable on the mobile phone screen and it constantly reminds your members about your brand and organization’s activity. In general, by considering a mobile application now, you are ensuring your customer’s or member’s loyalty in the future. Next time you are taking public transit, take a look around and see how many people are looking at their smartphones. Now ask yourself a question, are they looking at your app or the app of one of your competitors? 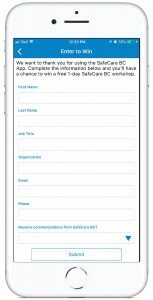 Consider a mobile application for your association? We can help! Learn more – click here. SafeCare BC as a health and safety association aimed to make the care sector a safer place to work by bringing sector specialists together to collaborate and share best practices among the continuous care workers. Managing these processes is not an easy task especially in this particular area so SafeCare BC was looking for a communication tool to simplify that process and turned to 14 Oranges for assistance. By understanding these business challenges, 14 Oranges offered SafeCare BC a mobile-first solution allowing to simplify these operation procedures within the association and its members allowing them to remain focused on their priorities – health and safety in the continuing care sector. SafeCare BC mobile application. Main page. 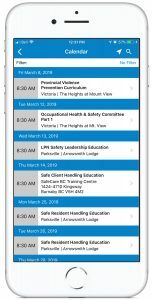 Consistent education, best practices sharing, and forums are particularly important for continuing care community, so the SafeCare BC mobile application created with the Info Grove platform allows to streamline the education process. It is now easier to register for courses directly in the app, review the schedule, or register for courses with Member 365. The app also allows registered users to sign in and view the relevant course materials. The app gives quick off-line access to important documents and also contains a survey module to manage feedbacks and improve users experience. Safe Care BC mobile application. Schadule. 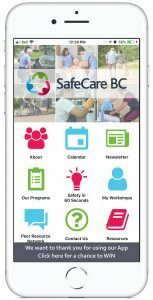 To encourage greater uptake of the app, SafeCare BC decided to create a competition among the members who installed the app to win a free 1-day SafeCare BC workshop. SafeCare BC mobile application. Feedback module for the competition. “Engaging the continuing care sector has always been a priority for our Association. 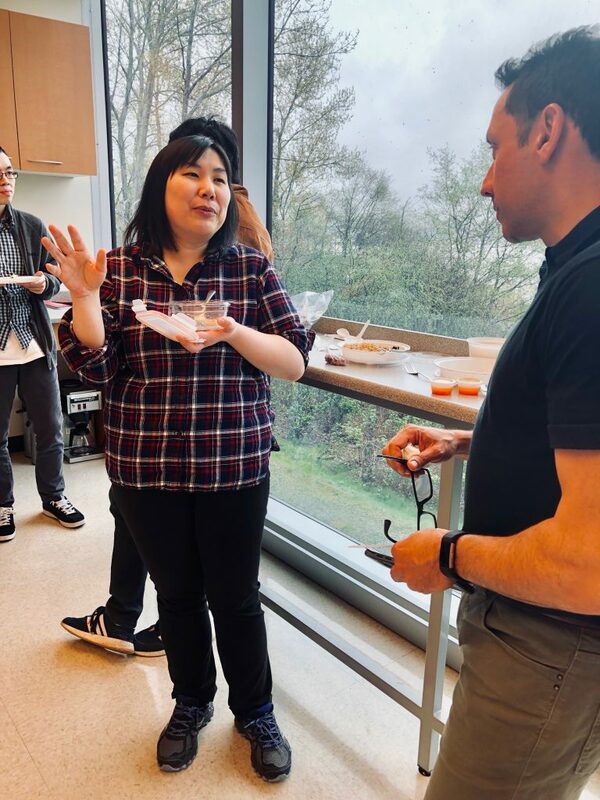 14 Oranges provided us with a fantastic way to expand our reach and increase access to quality education opportunities for peer educators and healthcare workers within the continuing care sector in BC. 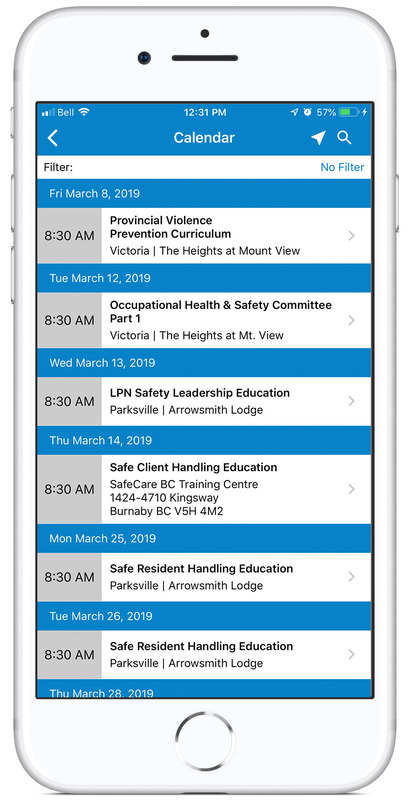 Our SafeCare BC app provides quick access to our health and safety resources and tools, as well as a place where we can conveniently connect with our members. 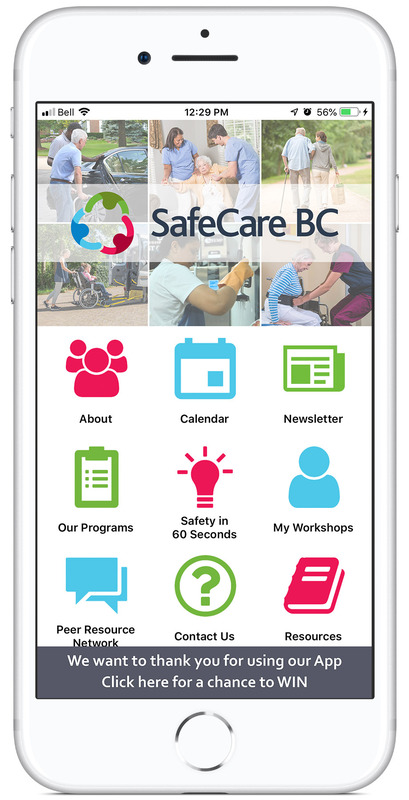 We encourage all continuing care workers to take advantage of our mobile app, and while you browse its options, don’t forget to enter our prize draw!” – SafeCare BC. Know your community better: interact, gather feedback, and improve your services. Providing services to the community and building a meaningful medium around them is very important. It’s not an easy job, especially when we speak about quality. Sometimes you never know for sure if the job was successful until you ask your community: What are they thinking about? Analyze the success of the event you hosted, the satisfaction of the new improvement you have launched, or in contrast, ask the community. Ask them to support your new ideas, innovations, or to help choose new members and executives – this creates two-way communication that increases the satisfaction and loyalty of your community members. Consequently maximizing the quality of the job you provide as an organization. 14 Oranges understands these needs. 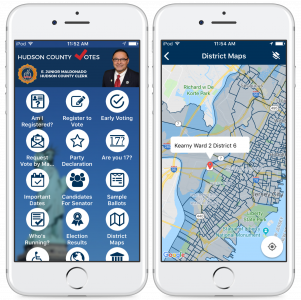 We are happy to announce the launch of a new feature in the Info Grove mobile application platform – The Voting / Survey Module. Info Grove’s Voting / Survey Module is a very simple and friendly module which can be used for both voting and survey purposes. Order free demo now Click here. The integrated Voting / Survey module allows your organization to create, send, collect feedback, and analyze information to improve your services. While enabling your community to vote for their favorite ideas, new members, and executives directly in the mobile application. 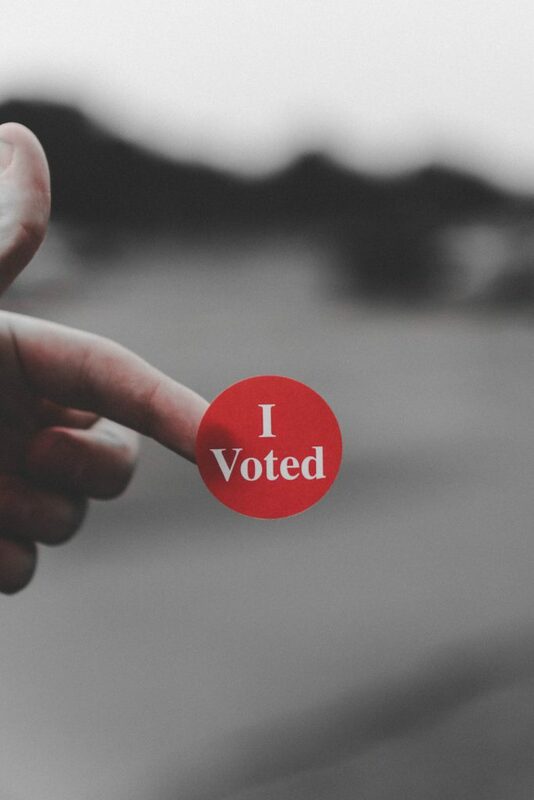 Aside from the opportunity to improve your community membership engagement, Info Grove Voting / Survey Module allows your organization to save money by reducing costs on the old form of paper printing, mailing, and manually counting feedbacks. 14 Oranges provides a high-security level of data protection with Info Grove Voting / Survey Module. All information is safe during and after the voting/survey process. New to Info Grove is our “Payments” feature for offering in-app purchases with a credit card. Currently, Info Grove payments integrate with Bambora and Stripe accounts. After you’ve created your Bambora/Stripe account and 14 Oranges has enabled the integration for your application, you can begin to add products/services for sale. Active: Toggle on and off to remove products from your store but keep product information in the backend. Label: Label is the title of your product. Description: Describe any relevant details about your product, such as the size of clothing, info about an event, and etc. 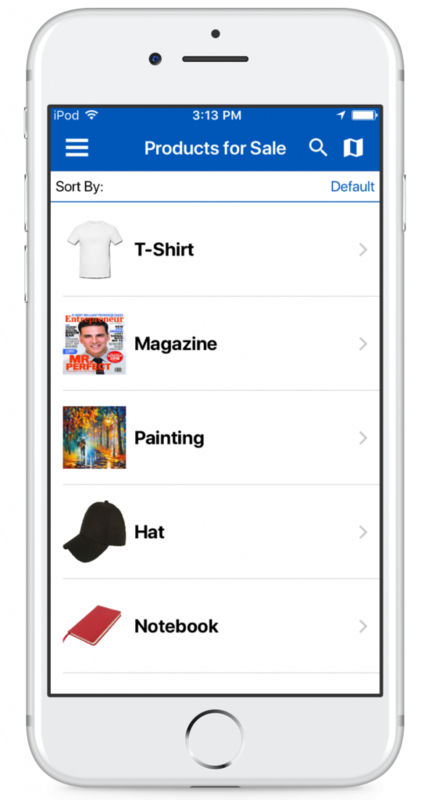 Category: If needed, add categories to organize your items on sale, such as events, clothing, or memberships. Currency: Switch between Canadian and U.S. dollars. Total Amount: Total amount after all tax and/or shipping costs. Base Amount: The amount before tax. Notes: Any additional notes for your sale item. Transactional Emails: Receive email notifications for completed purchases. 3) Create a data source with a products list. Select the products that you want on this list from the “Values” button. Displaying products (as shown in the photos above) works well with a “Plain List.” The first step is to create the plain list for what you want to sell. 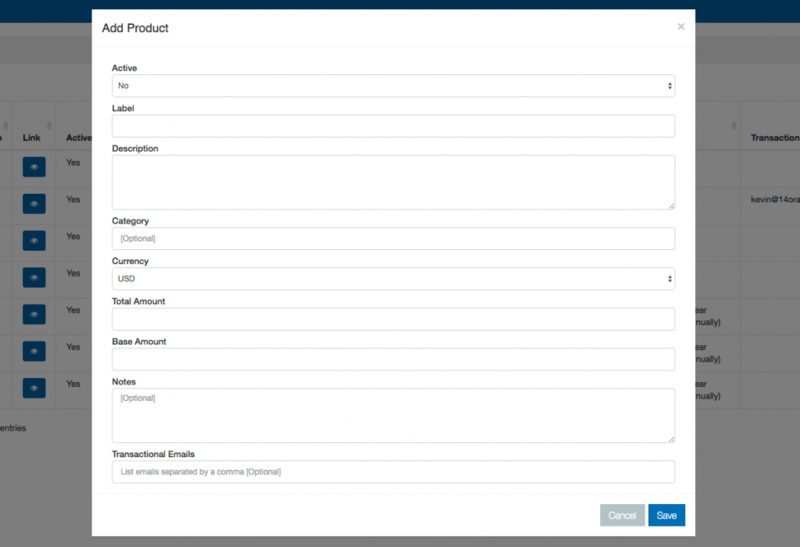 When creating your module links, select the product you want to sell (From module) and redirect to the purchase page for the same product (To module). If you are just selling one product you will need to “add a single record” on the menu management section. If you are selling the entire list of products (the plain list) you need to add the plain list view to the menu and all your products will be displayed.